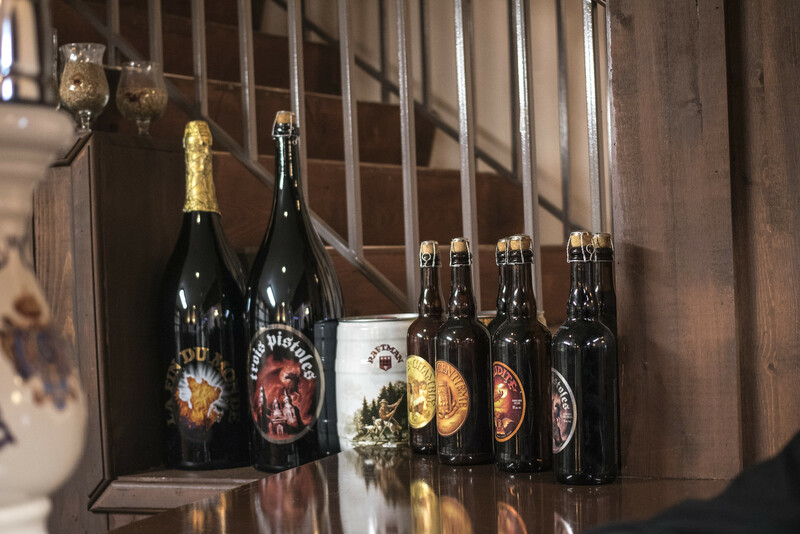 Many of you know that I'm one of the biggest Unibroue fans out there.. to the point that I've made sure to try just about EVERY beer that Unibroue has ever come out with.. from Unibroue "U" Miel to Quatre-Centième and beyond. 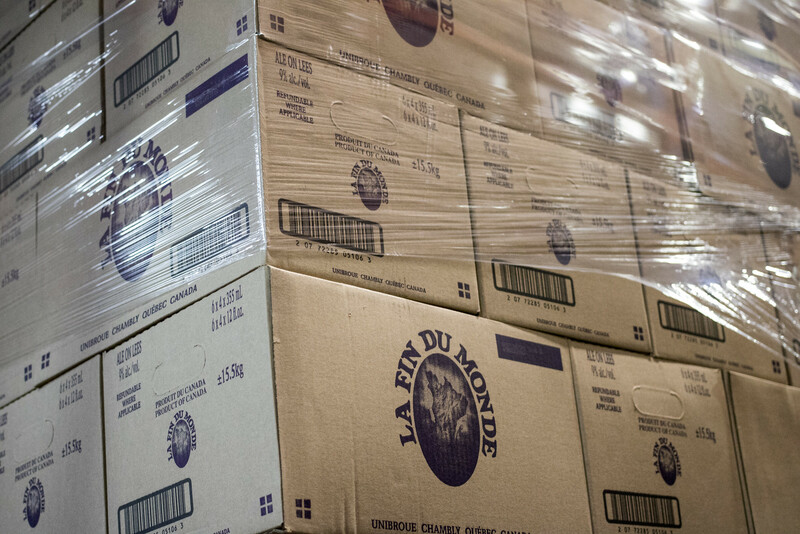 Back in 2004, I first tried La Fin du Monde and stated on RateBeer.com that I really disliked it because it tasted like black licorice. Who would have known that less than two years later I would regularly be drinking that beer along with Trois Pistoles.. and actually enjoying it?! 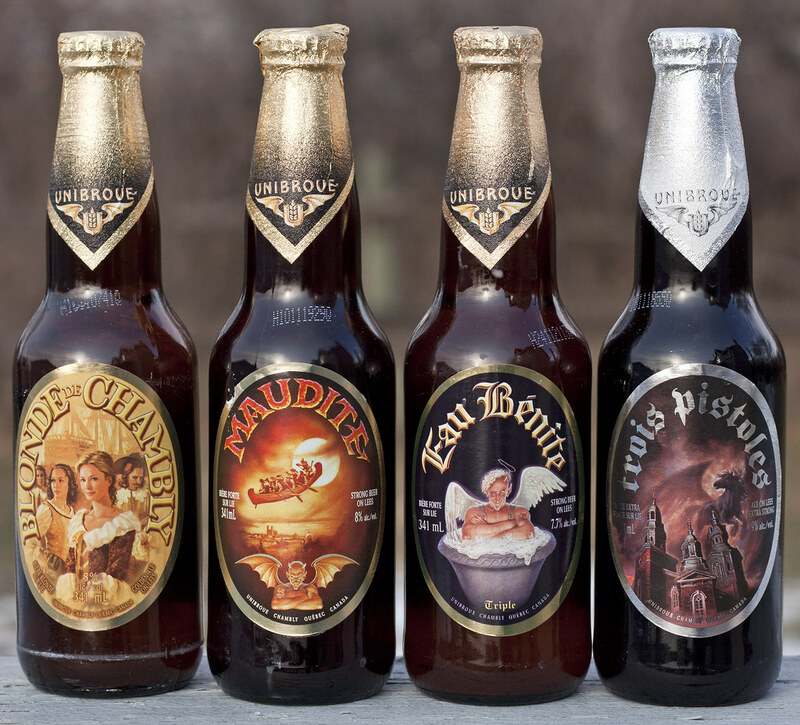 I've wanted to visit Unibroue for several years now but unfortunately - they don't give tours. I've contacted them in the past and each time I got the same response: "Sorry, but we don't give tours at this time." So with that.. 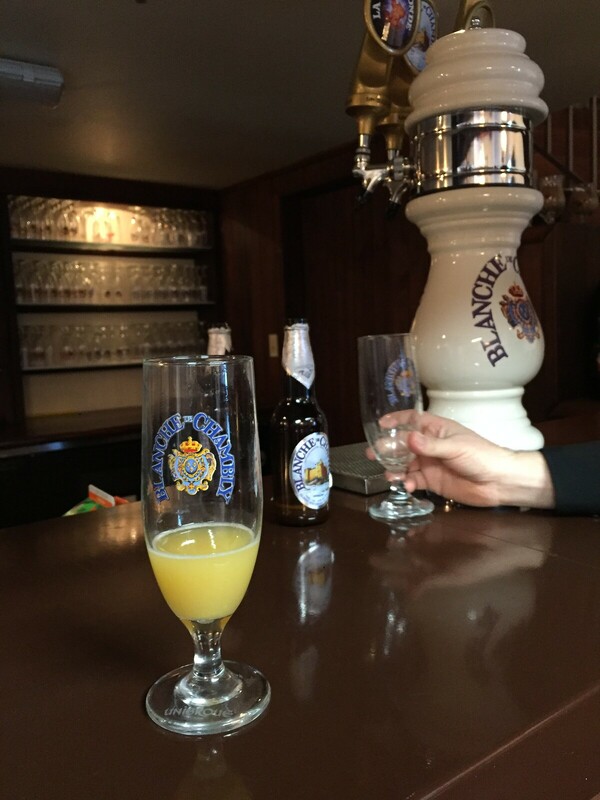 I never thought I would ever get a chance to visit the Unibroue brewery in Chambly. On the Monday of my bièrcation, mon ami Alex texted me as soon as I arrived at the Winnipeg airport to head my way to Montreal asking me if I was still in the city on Wednesday.. yeah, I was. 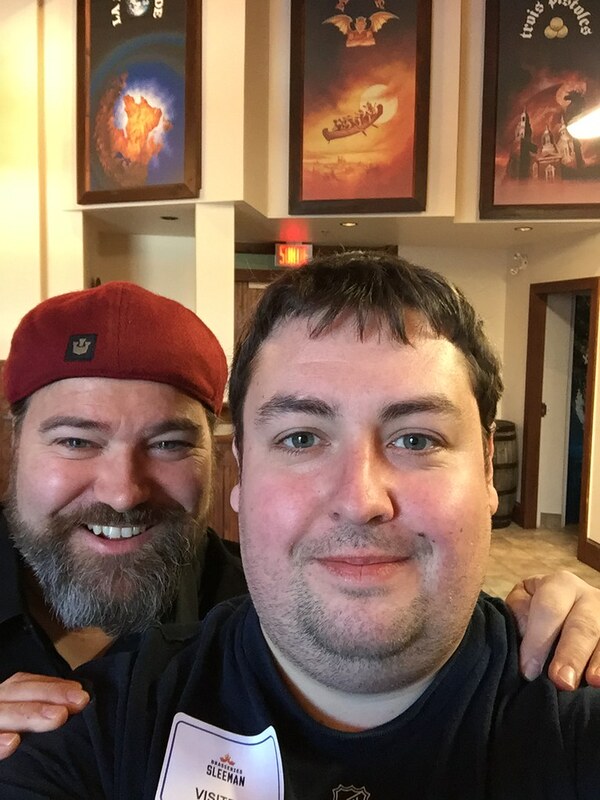 He told me that Sylvain, the beer sommelier at Unibroue was available and wanted to give me a personal tour! As you could tell, I was ecstatic! 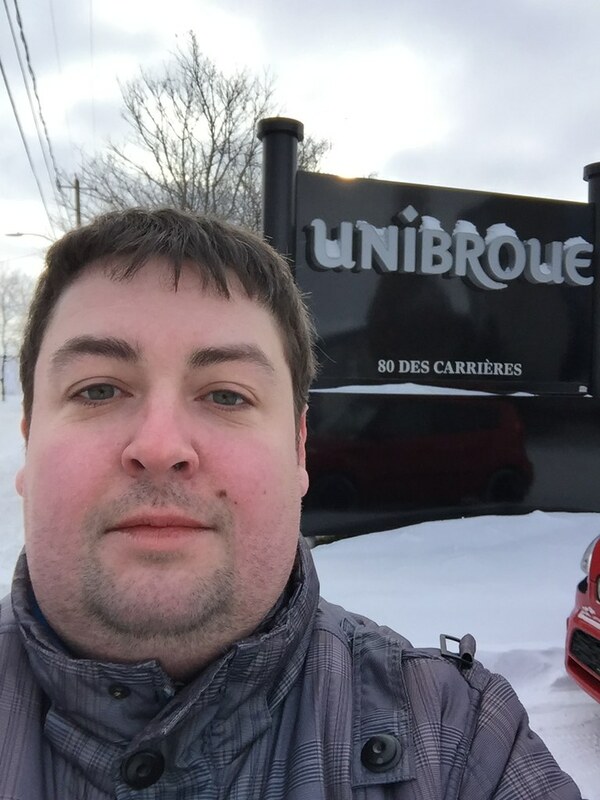 Here's my visit to the Unibroue brewery in Chambly, Quebec. There's a lot of similar photos, but I just had to upload whatever I had! 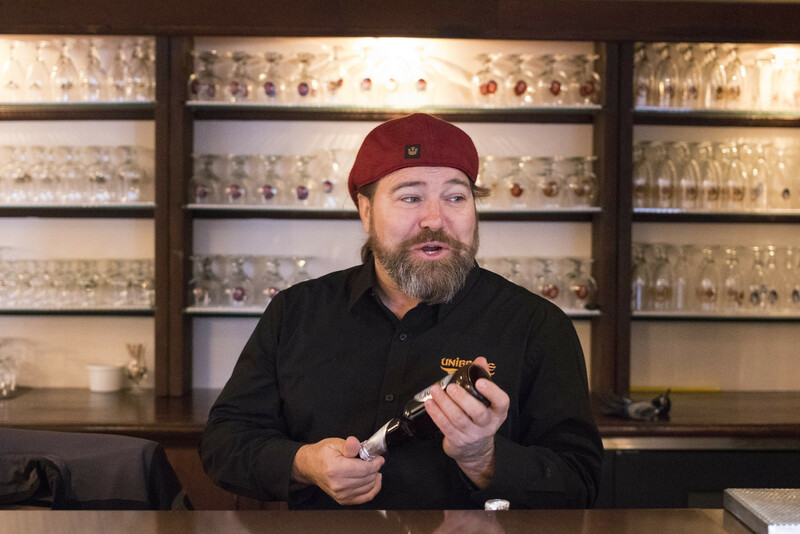 Here's Unibroue's Beer Sommelier Sylvain getting a bottle of Blanche de Chambly ready to be made into a Blanche de Chambly mimosa.. a great way to start off the morning! 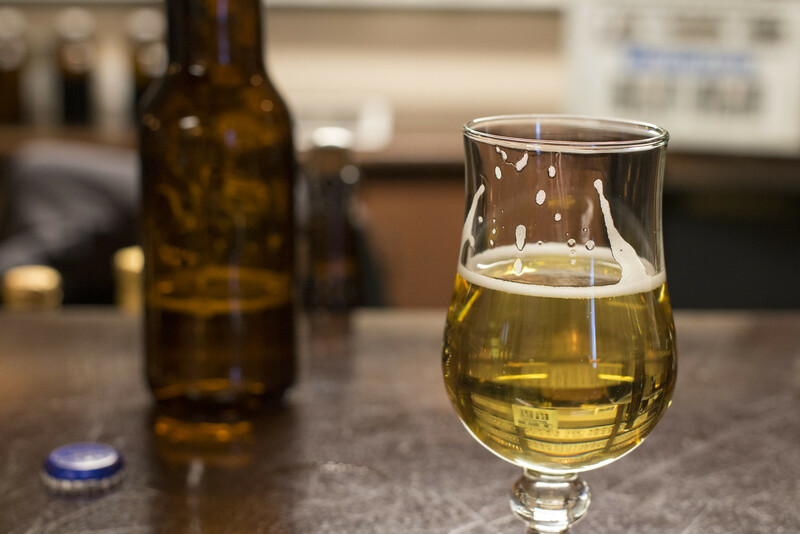 It was the first commercial Belgian-style witbier brewed in North America, introduced in 1992. It would pre-date Coors' Blue Moon (Belgian Moon) by three years and Shock Top by fourteen years! 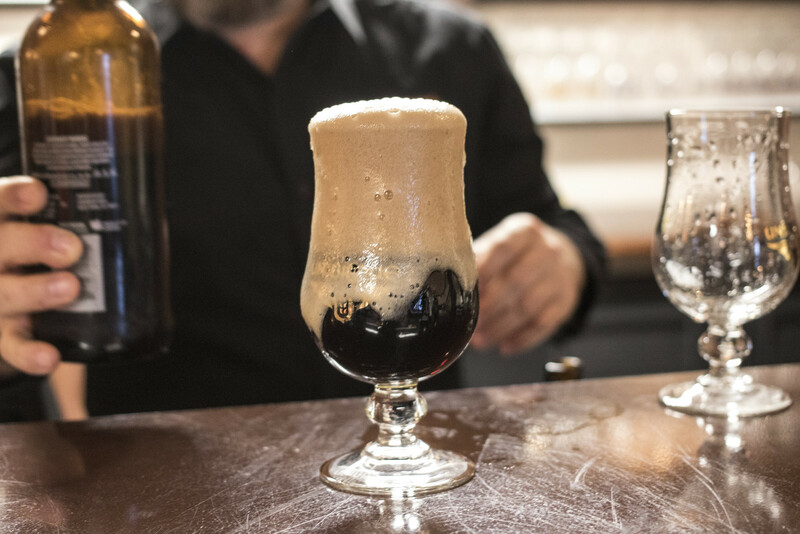 It's naturally carbonated in the bottle and keg without the help of CO2. 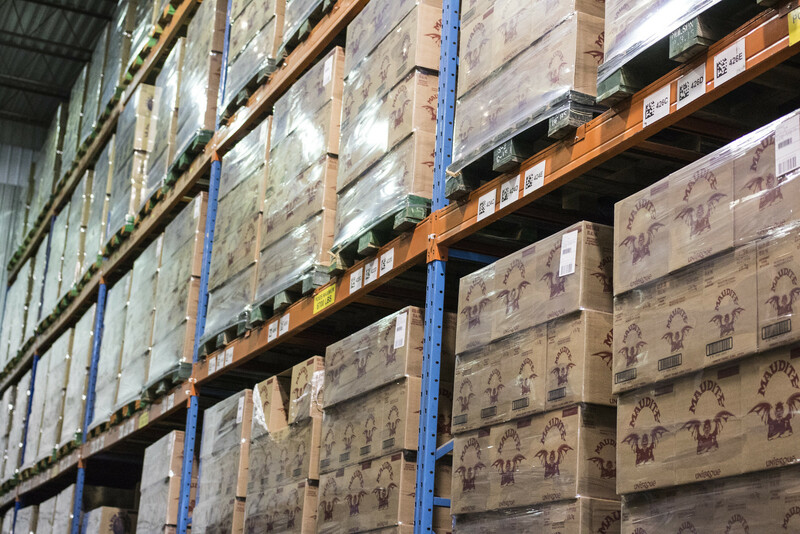 This means that the beer sticks around in the warehouse for two weeks or longer fermenting to give it a good natural carbonation. 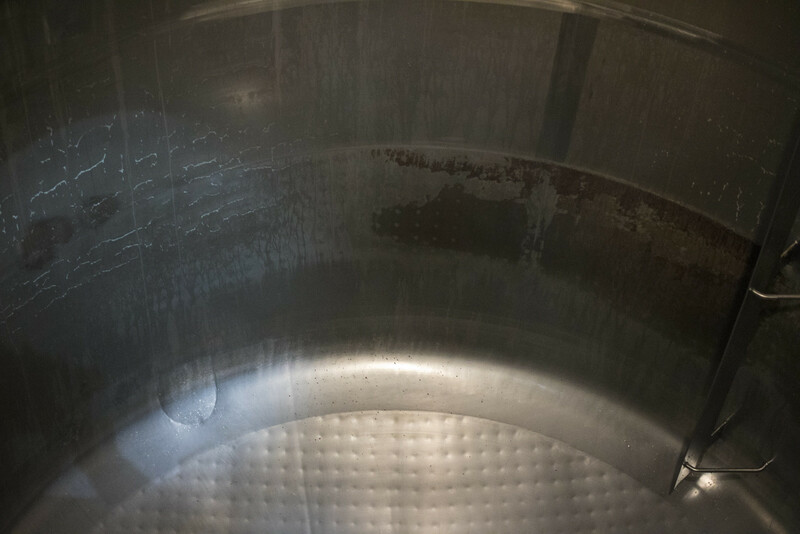 This is also one of the reasons why you sometimes see certain batches gushing if it's not chilled to the proper temperature. 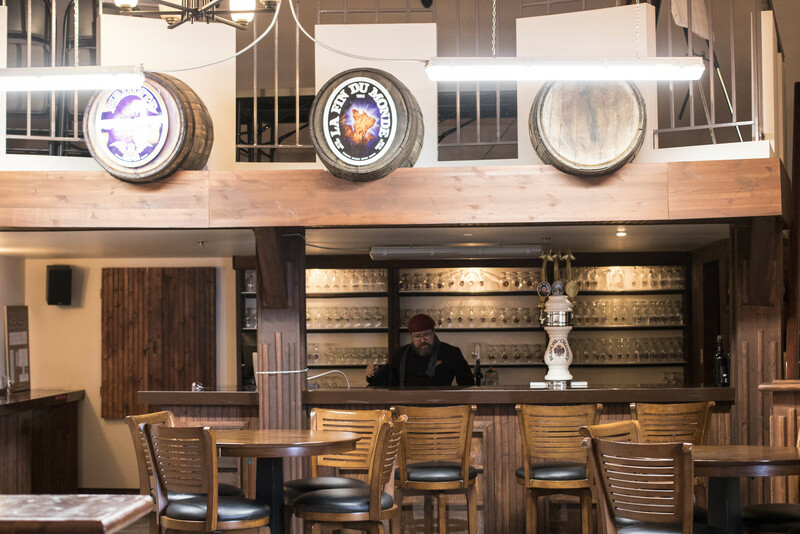 View of the tasting room. This is the kind of atmosphere I love for pubs. Too bad it's not open to the public. As soon as we were done our Chambly mimosas, Sylvain took me on a tour of the brasserie. 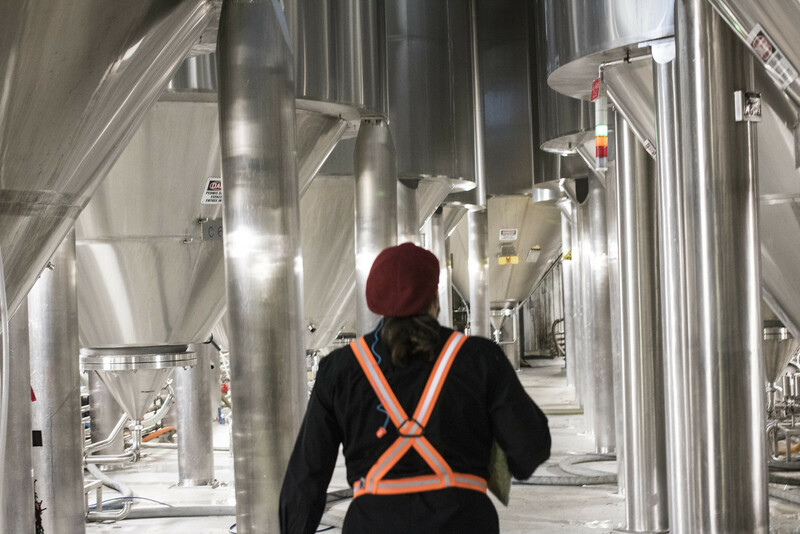 I knew the Sleeman Unibroue plant was big, but it was larger than any brewery I've ever been to. 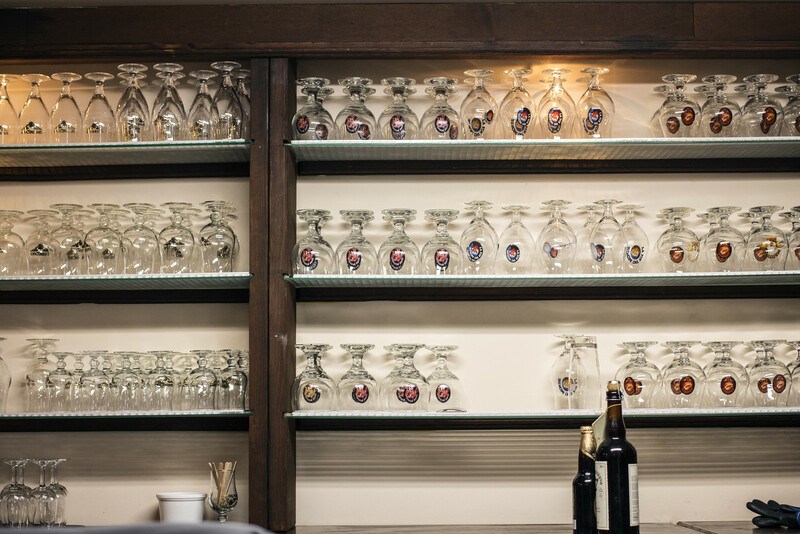 When I showed up, they were just about to start working on their newest batch of Blanche de Chambly. 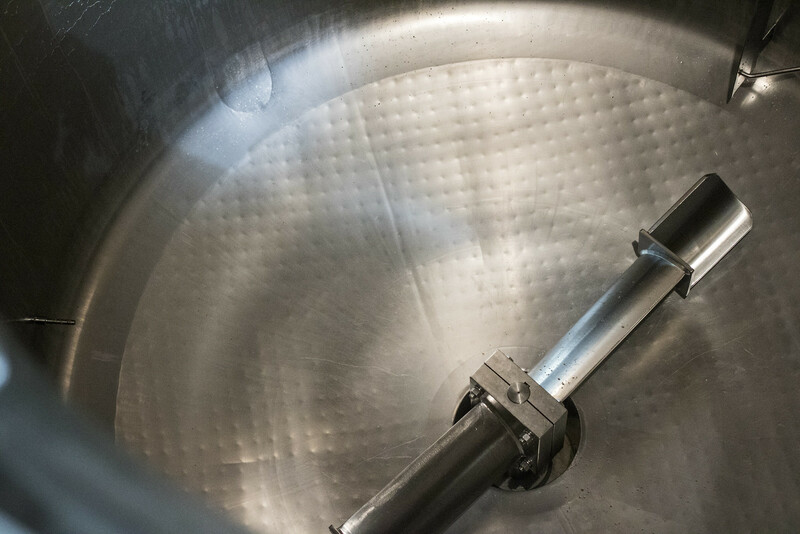 The Mash & Boiling room smelled like being at the farm, a dank, grainy, oatmeally aroma. 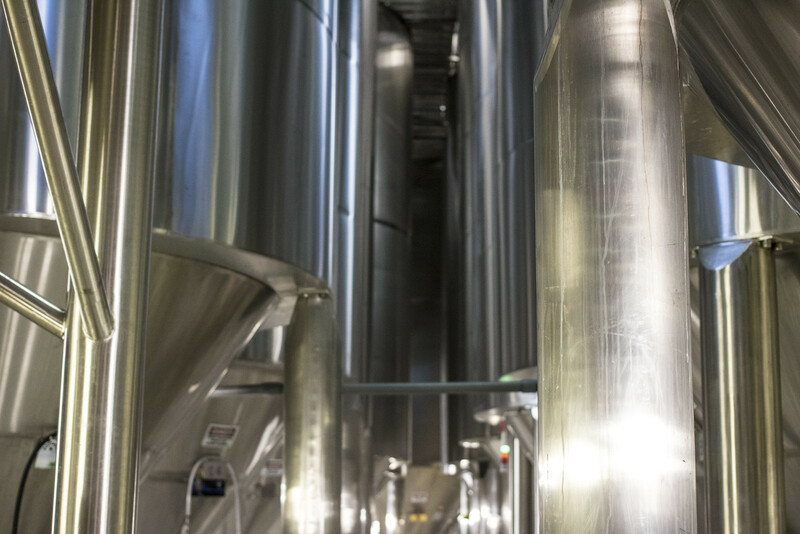 Like most other breweries, if their suppliers run out of their preferred style of hop or malt for their beer, they have to improvise and brew accordingly. 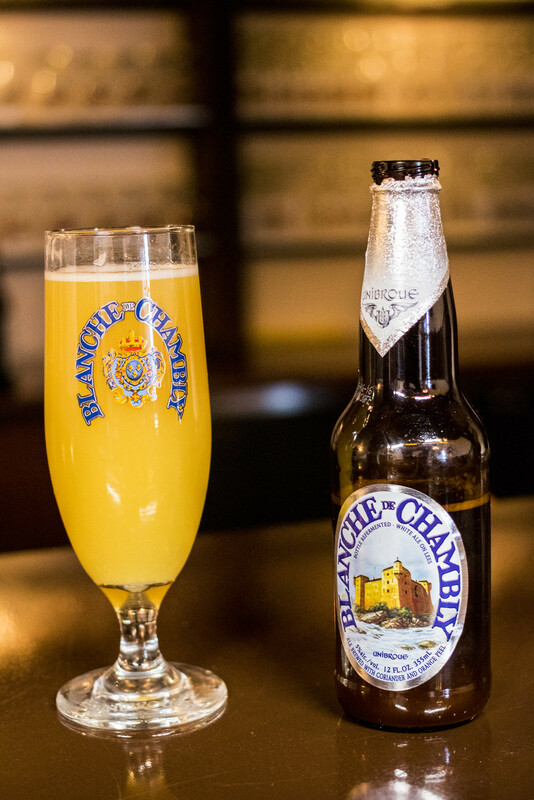 Generally I find Unibroue's beer tastes consistent batch to batch, but it does make sense as I've noticed subtle changes of the recipe for Don de Dieu and Blonde de Chambly over the years. 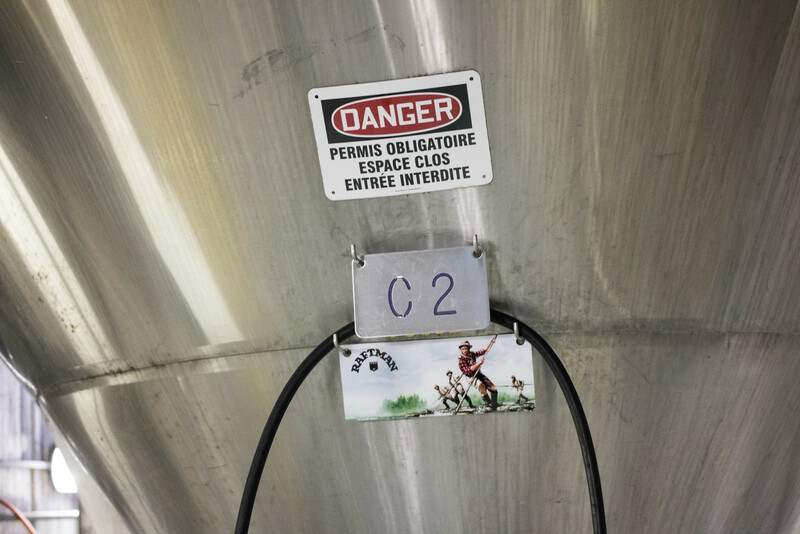 Also, Unibroue has their own lab dedicated exclusively to working with new strains of yeast. 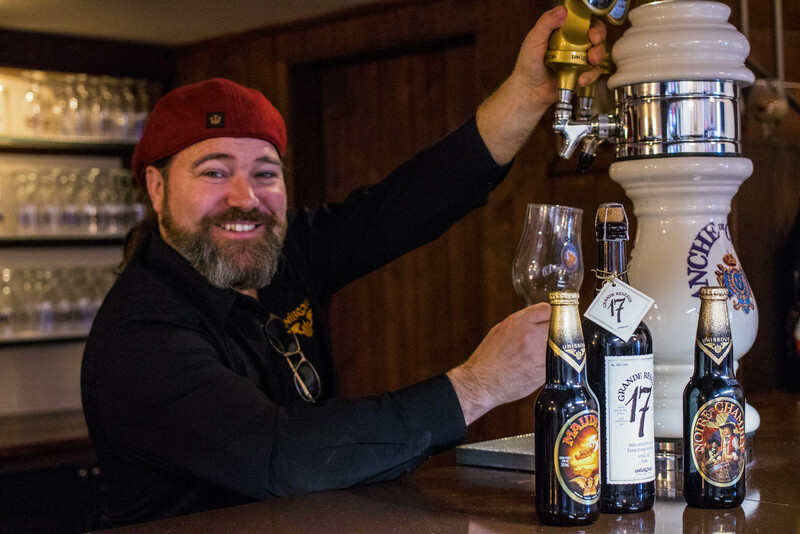 Of course with beer geeks loving everything Brett lately, I asked if they've been working on recipes with Brett yeast, yep.. they have been. 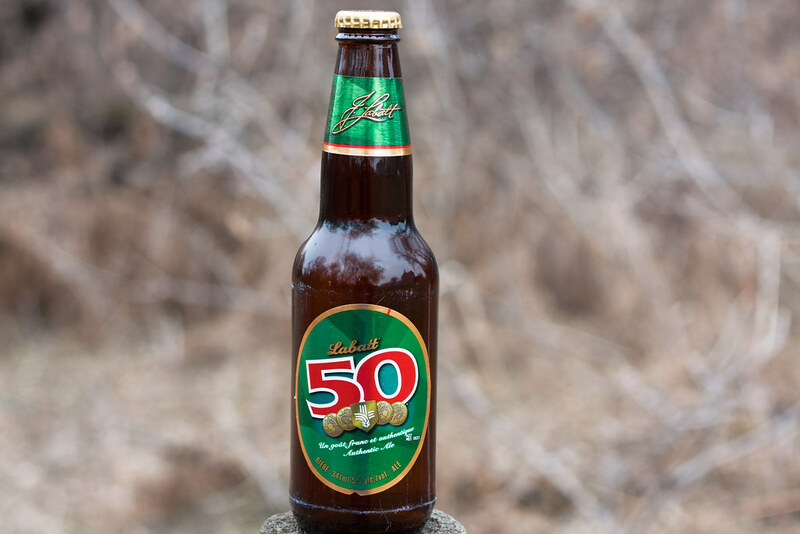 I'm still not used to Brett yeast though.. being in Manitoba there's a grand total of zero Brett beers at the liquor store. 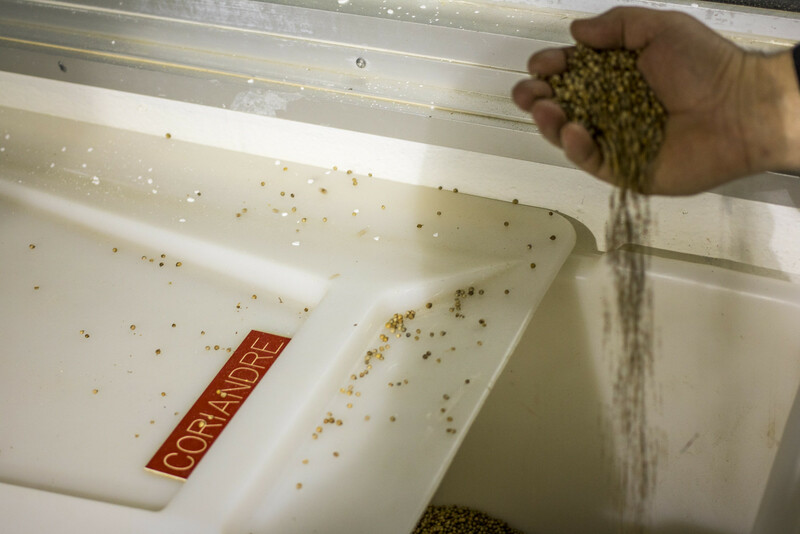 In the mash/boil room, I got to try a sample of the coriander and ground orange peel that they use for the Blanche de Chambly.. it was very very rich. 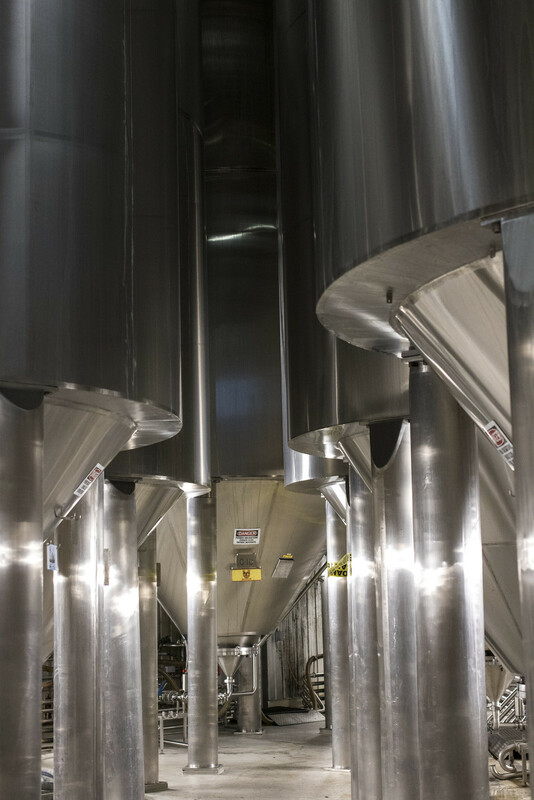 I was absolutely floored when I saw the fermenting room, the tanks were larger than most grain bins I see back on the prairies.. they were about (I guessed) 4-5 stories tall. 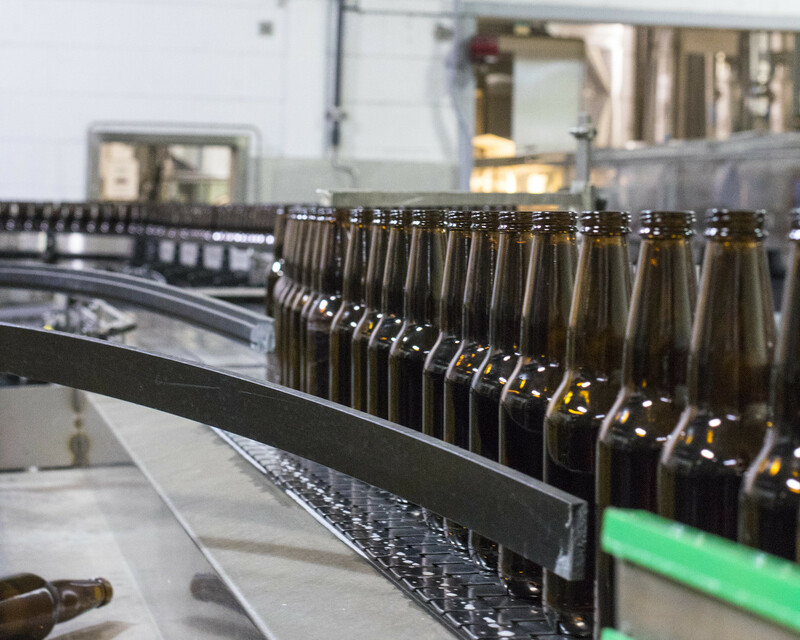 Do you know why most Canadian beer bottles have that white line near the bottom? That's to indicate that the bottle has been re-used several times already. The whiter the line, the more it's been used. 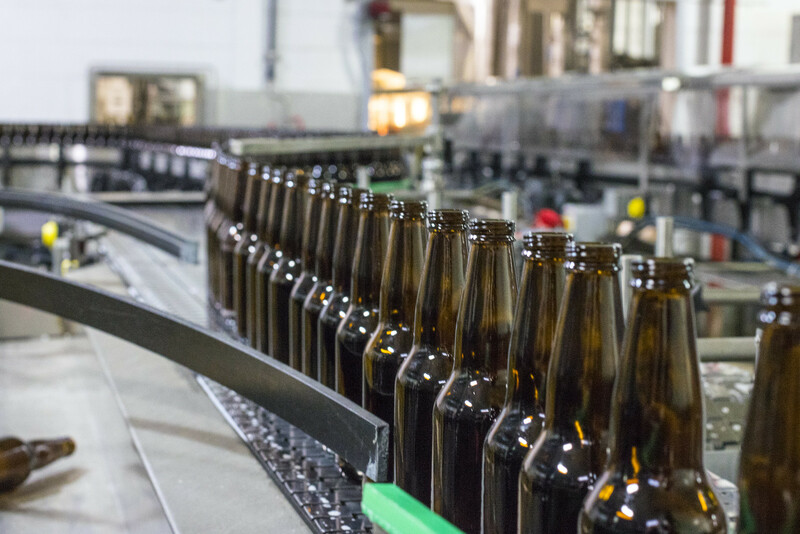 The average 341mL bottle lasts up to 15 fills, mostly less. 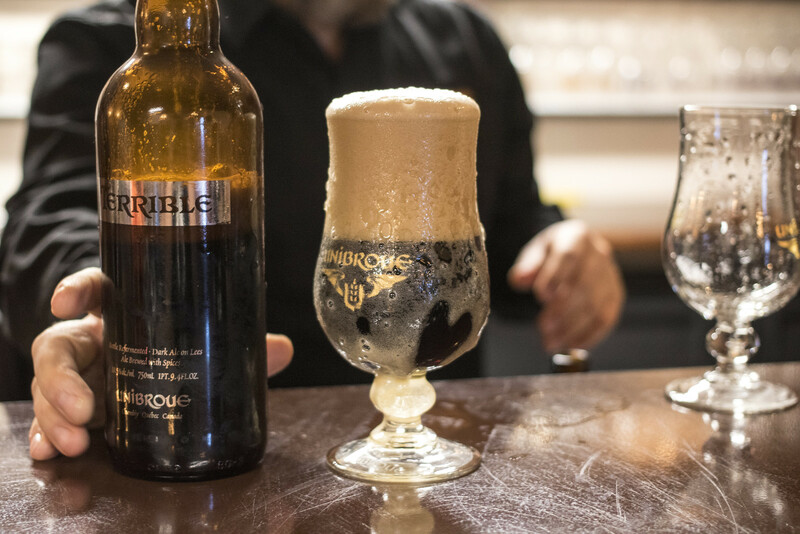 With Unibroue's beers, the lower ABV beers, the discount brands and the macros use re-used bottles, while the higher ABV beers like Maudite, Trois Pistoles and La Fin du Monde use brand new glass bottles. Here's an image to show it. 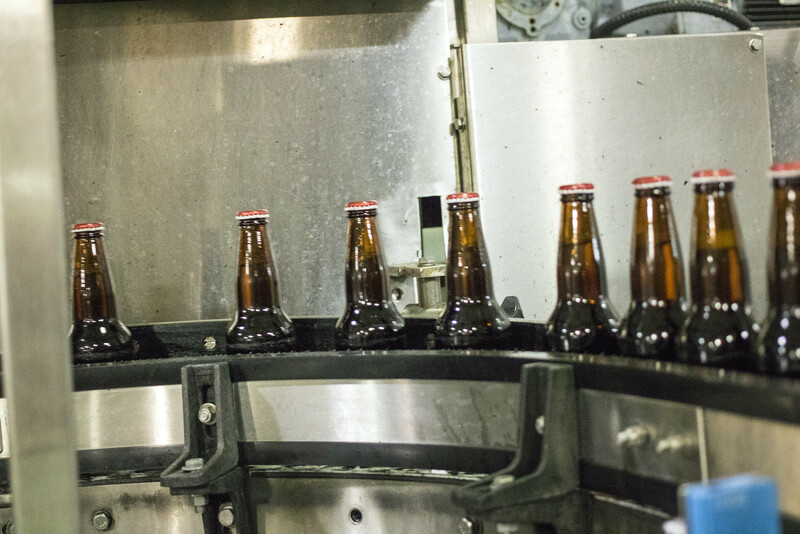 The Sleeman Unibroue plant also washes empties that were returned to them from dépanneurs from all over Quebec. 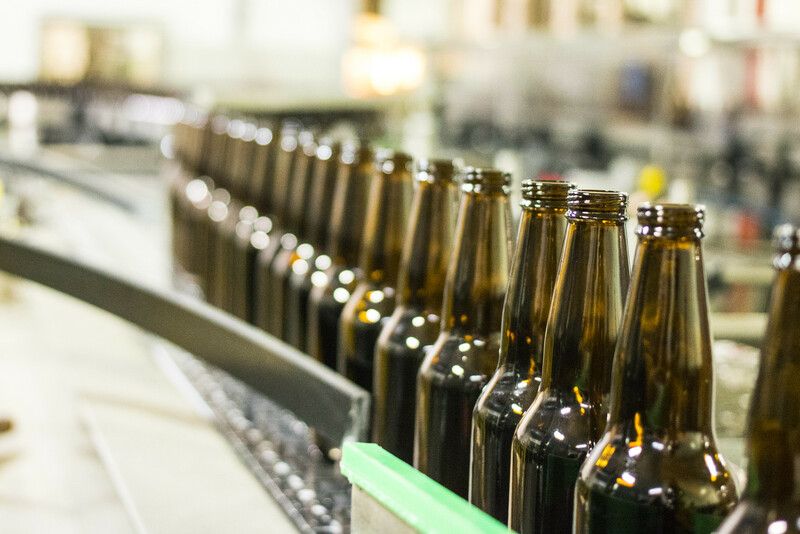 They remove the label, make sure the bottles are in perfect condition, don't have items stuck in the bottle, wash the bottles out and inspect the bottles again to make sure they are perfect. 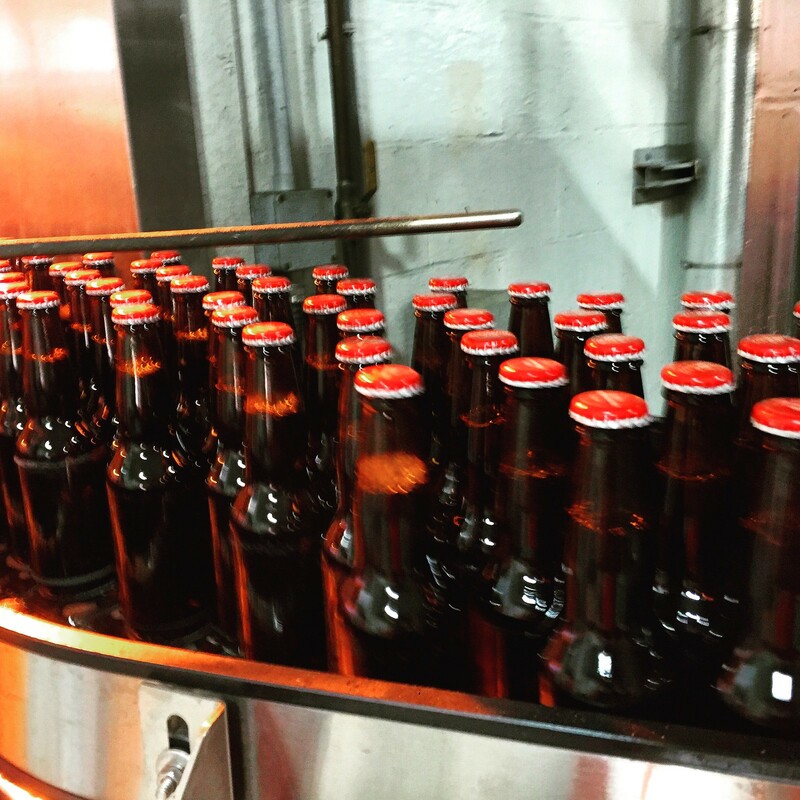 Following that, the bottles head to the bottling line where the beer of the day will be filled. 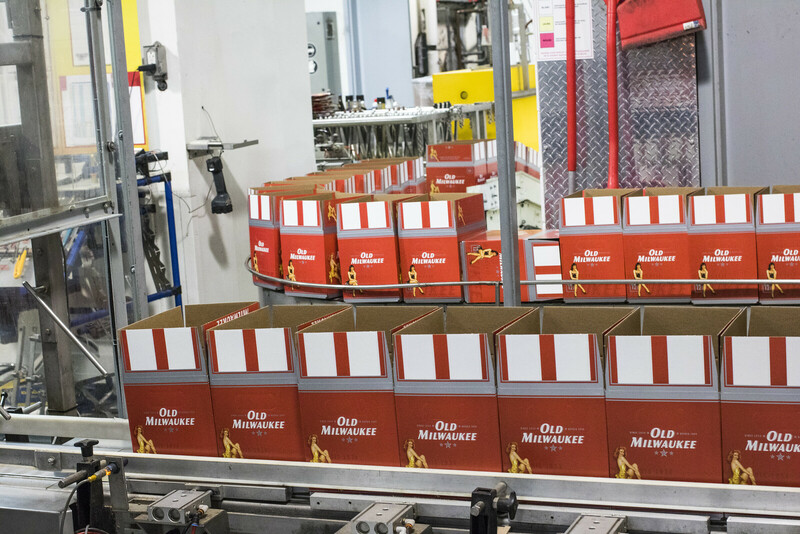 On a given day, Unibroue can bottle up to 20,000 (1,666 12-packs) bottles of beer per hour. While I was there, they were bottling Old Milwaukee and Old Milwaukee Light. 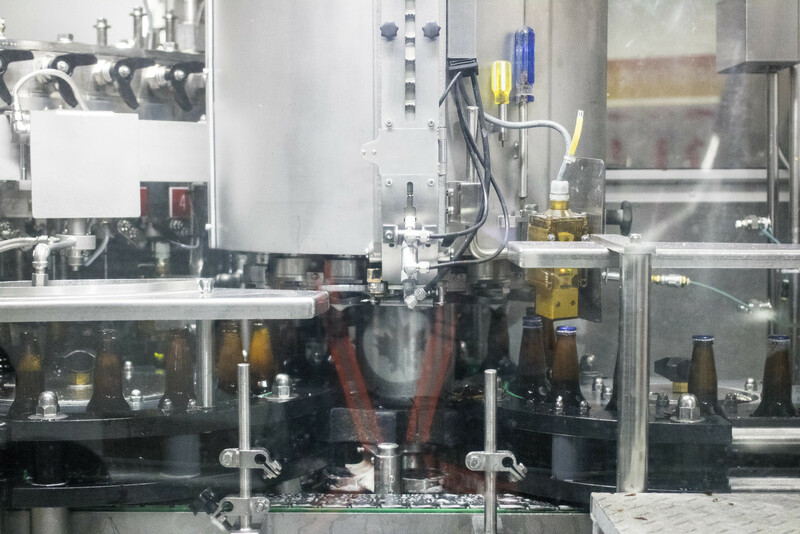 Whenever the bottling line needs to switch from 341mL capped bottles to 750mL corked bottles or vice versa, the whole operation to switch the bottling line only takes about half an hour to change over. 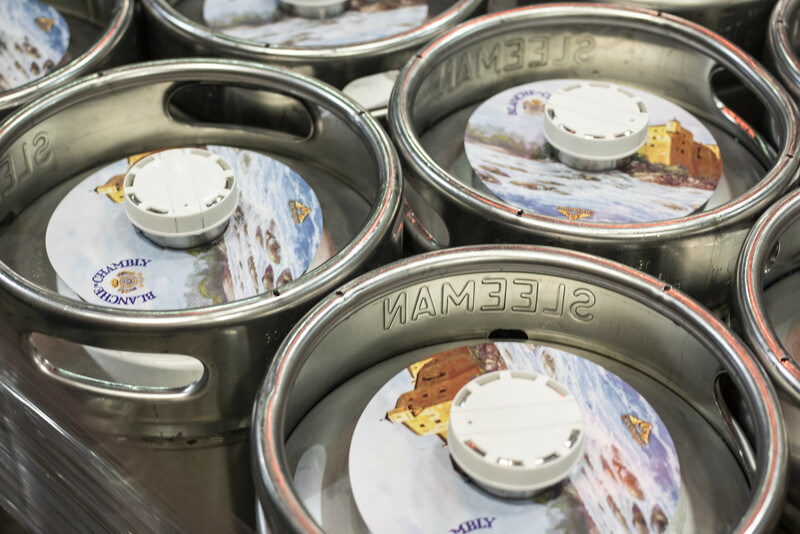 A few years back, Sleeman Unibroue purchased a million-dollar kegging machine that cleans, sanitizes, fills and even helps stack the kegs. 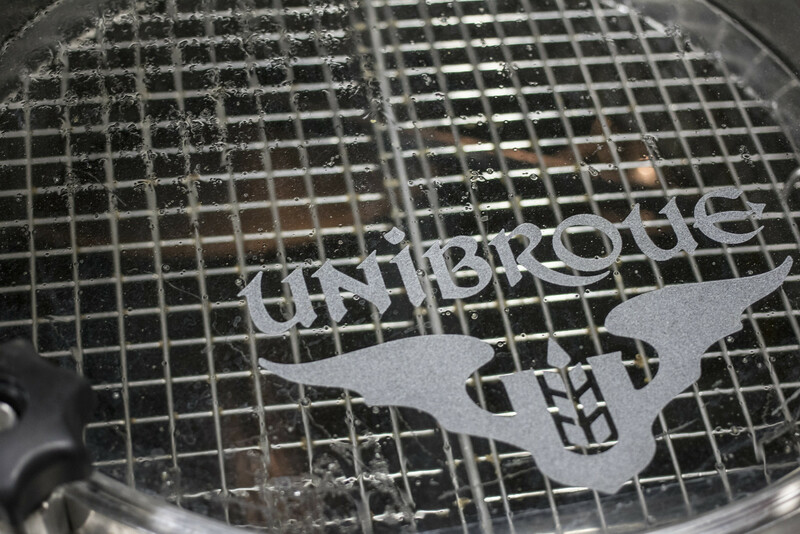 Before the keg machine was purchased, Unibroue was filling about 100 kegs per day. 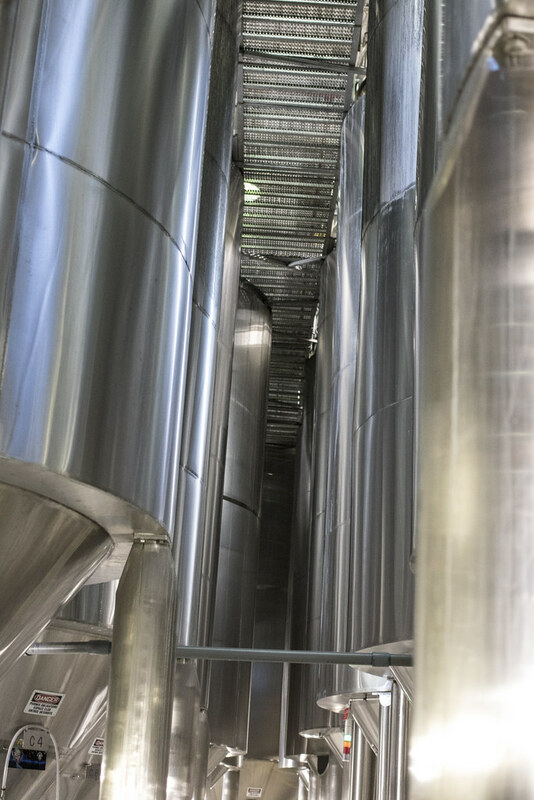 Due to spillage and inconsistencies (ie bottom of the batch of beer), they lost 16 kegs (16 20L kegs) per day... which adds up to an insane amount of money.. quickly. 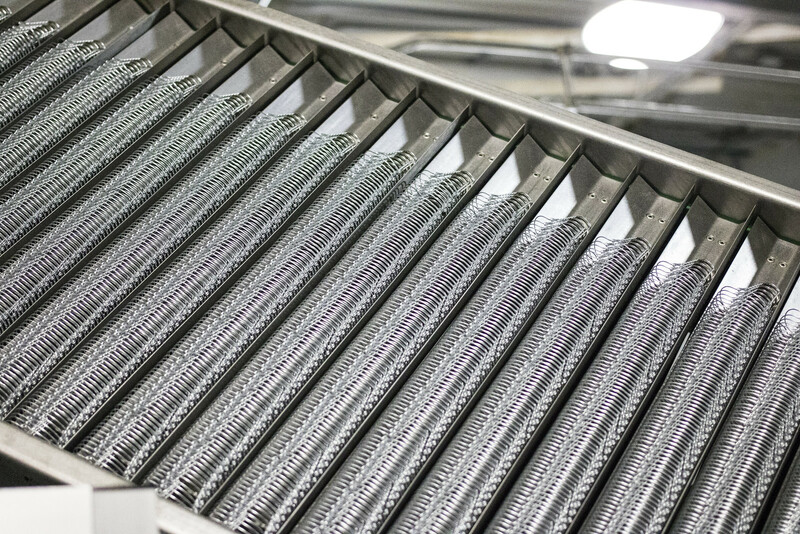 With the new system, they can do several hundred kegs per day and there's 99% fill rate. 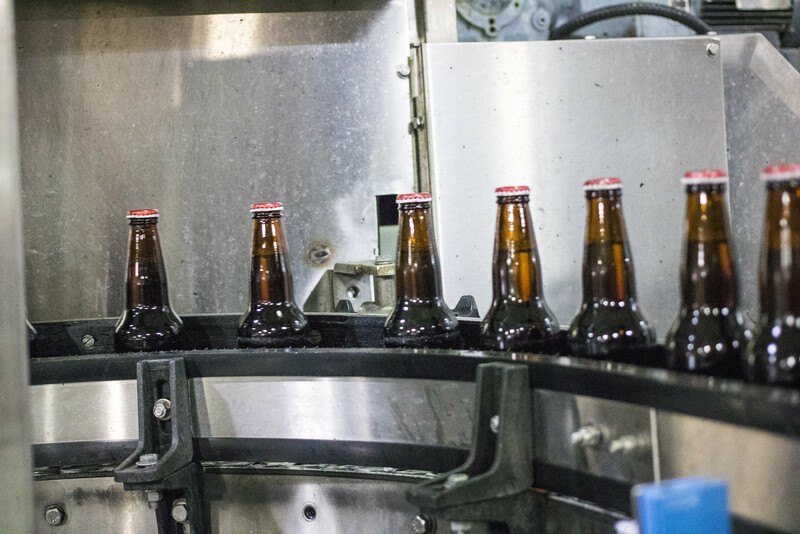 Since Unibroue's top brands are naturally carbonated in the bottle, once the beers are packaged, they are sent to the warehouse for up to several weeks before being shipped all over North America. 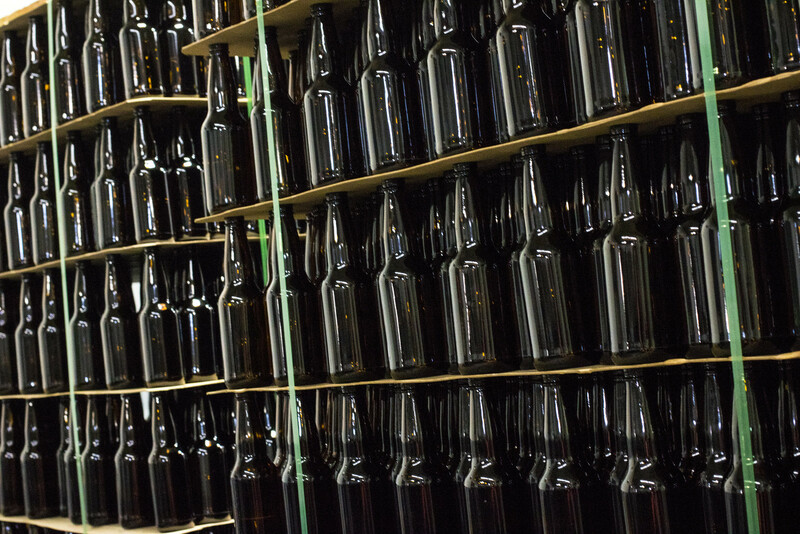 Every day the quality control team meets up to test the batches of the one, five, fourteen and beyond day old bottles to see how the beer has turned out. 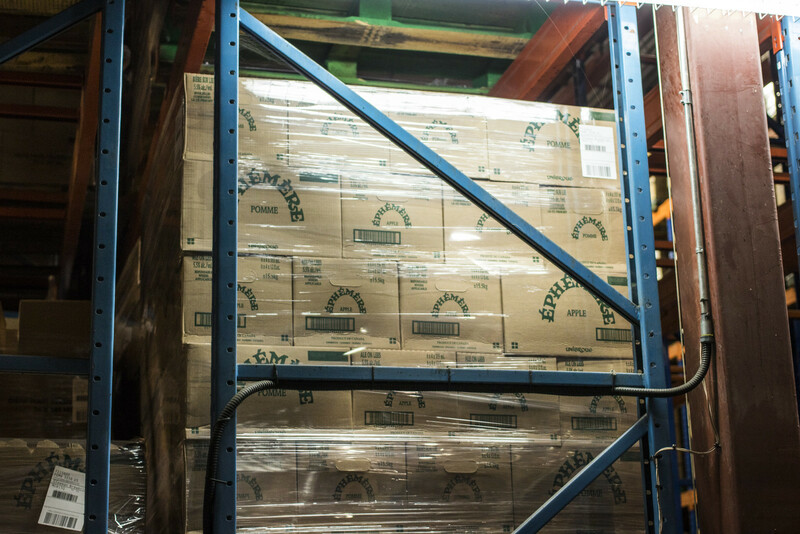 Once it passes their tests, it can be sent out to be sold. 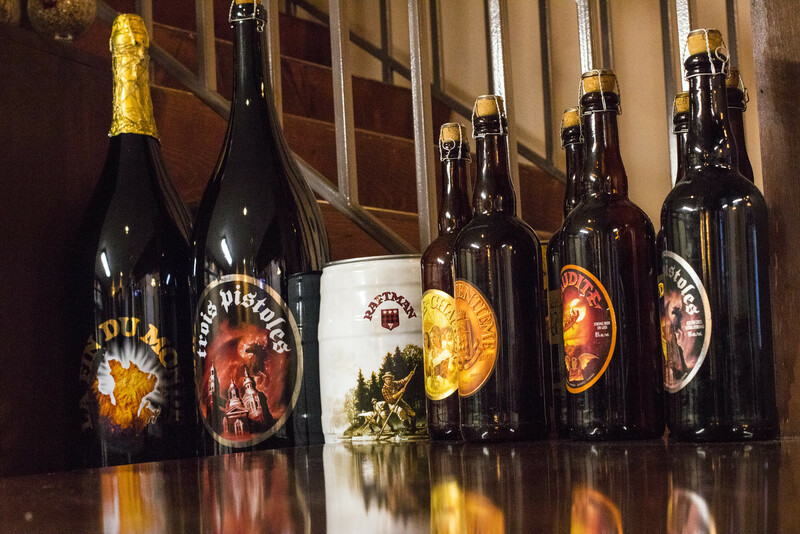 I mentioned to Sylvain that I seem to have bad luck with gushing bottles of Unibroue once in a while. 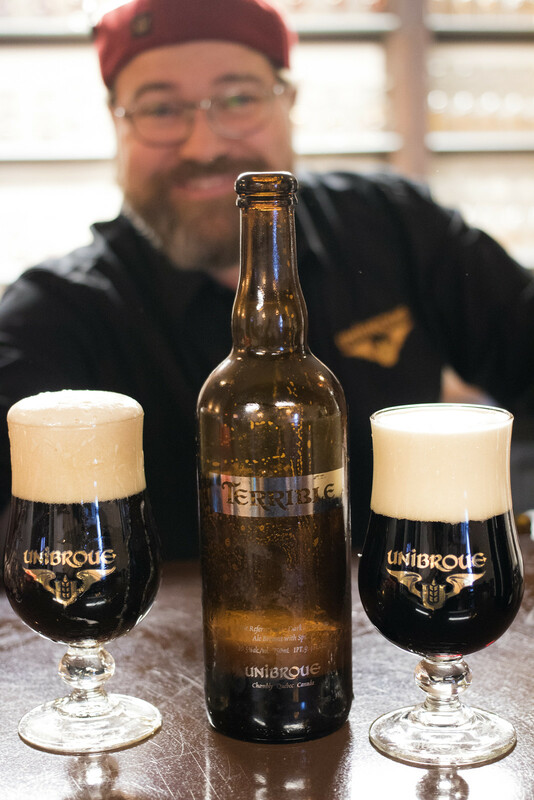 He honestly never heard of that being an issue with Unibroue products - except if the beer was too warm (ie room temperature) when being opening. Oddly enough, as soon as Sylvain opened up a bottle of cold La Terrible, it started gushing like I explained. So now he can't say "our beer doesn't gush!" La Terrible was absolutely amazing.. I haven't had it in 3 years, so having a sample of a three year old bottle was a real treat! I never thought I would say that I enjoyed a bottle of Old Milwaukee Light.. but I actually did! 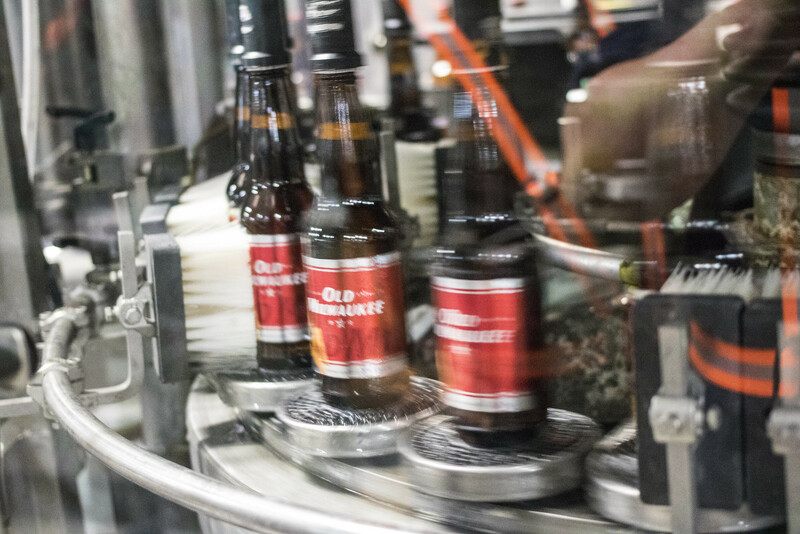 Sampling a bottle of Old Milwaukee Light that was fresh from the bottling line was actually.. decent. Honestly, I really never ever expected to get to visit the Unibroue brewery.. and get a tour! After the years of "sorry, we don't give out tours" emails I've received.. I really didn't expect to ever get a personal tour. 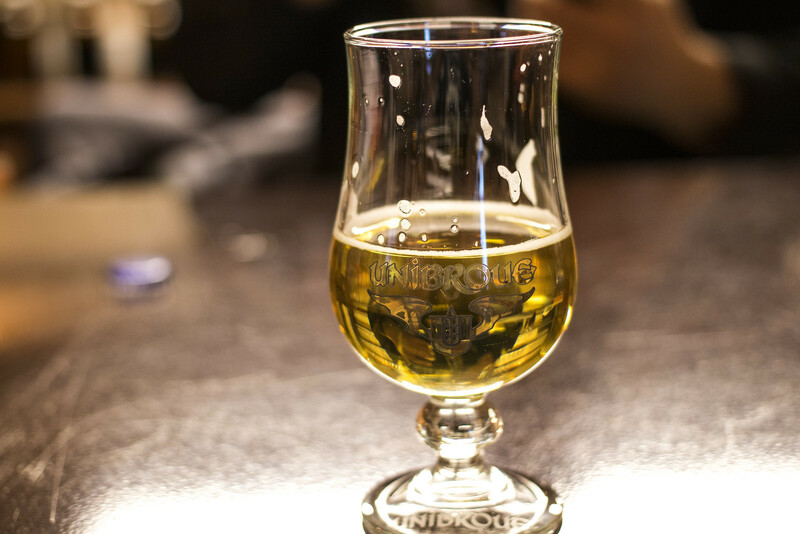 I don't know how much Unibroue I've sampled in my life.. but according to Untappd, 670 of the 3,700 beers I've checked in were all Unibroue beers. I guess I really really like their beer that much? 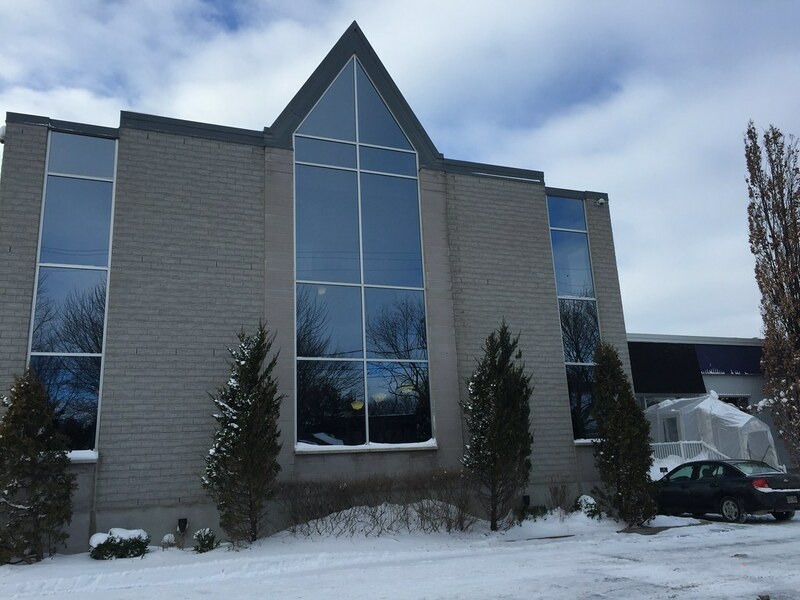 Thanks to Alex for getting in touch with Beer Sommelier Sylvain, and for Sylvain for going out of his way on his insanely busy schedule to show me around the brewery and sample beer first thing in the morning!